TheRustedChain - The Blog: Boys will be boys. or girls. Boys will be boys. or girls. While mommy's working, you can sit on the floor behind her and play with tractors. John Deere are the only kind that'll do. They must be green or they don't count. You make grunting and growling tractor sounds. Because, well... that's what boys do! And then you start into some naked crafting. 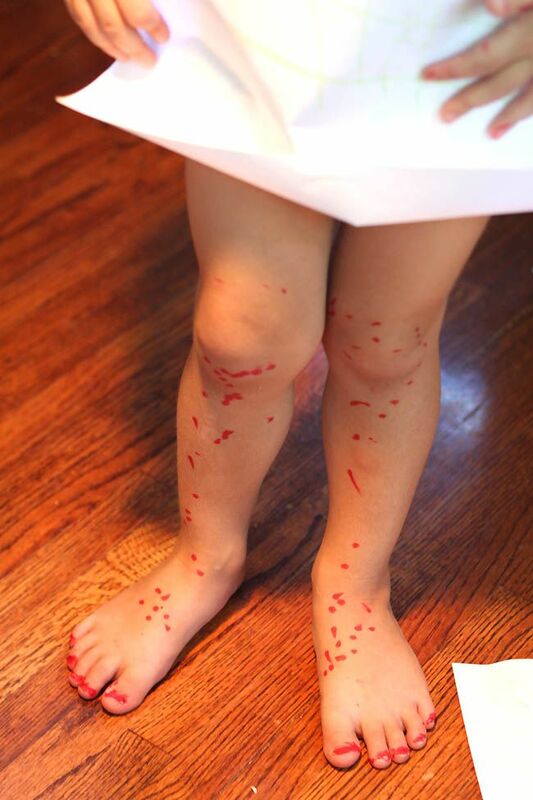 And figure out that red Sharpie marker can make your toenails look just like mommy's. The polka dots down the legs? Just for fun. You can't figure out why mom is laughing so hard and taking pictures. It's back to tractor time. By the way, Sharpie on toenails will last at least 2 weeks. Through swimming pools, playing, bathing. I love the pics I have of my boys as they're in that delightful stage of not caring if things look boyish or girlish. They grow out of it much too soon. Do you put the dots on your legs when you do your toenails, too? oh my goodness...he is so sweet & silly. 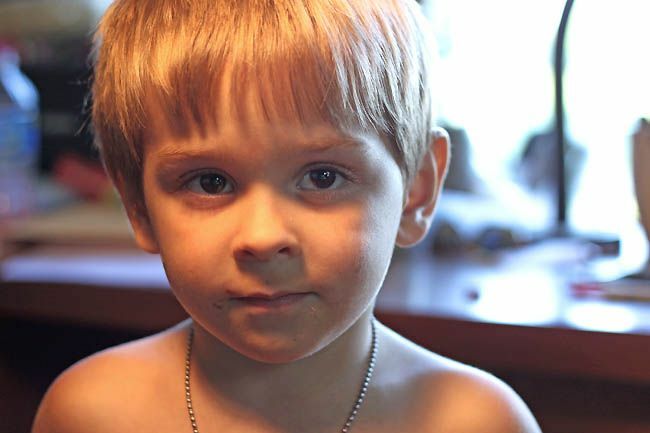 Has he perhaps seen a kid with chicken pox...or bug bites on their legs? Sooo so true! My boy LOVES tractors! I've posted about it a few times on my own blog. And yes, they have to be green or it doesn't "count". 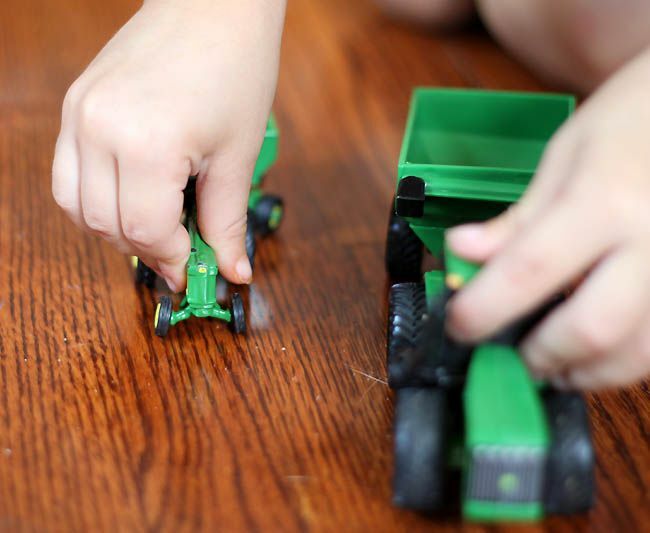 I'm not even sure if boy ever outgrow their love for tractors either... my lovely husband still "plays" with them. Fun photos! He has such a little boy face now!!! ♥ how you can laugh at these things!!! Oh so true! 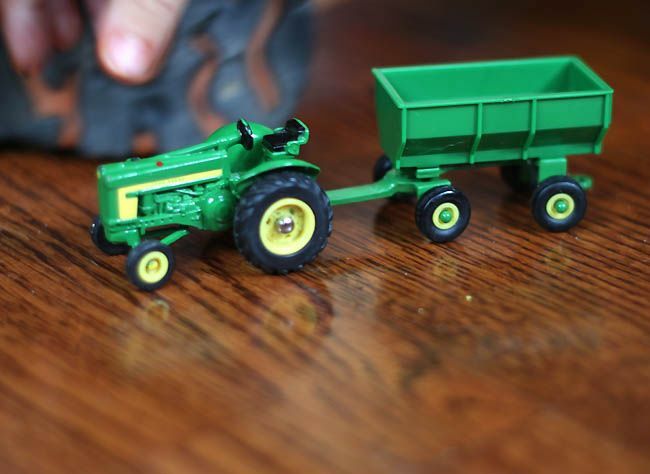 I'm glad I"m not the only one that takes pics of the boy's tiny tractors! Hysterical! Love the toes w/dotted legs. too cute. That's priceless. Hilarious too. Hey I am looking forward to linking in with Fingerprint Friday... are you doing one this week?? Too funny!!!! Love the toes!! !